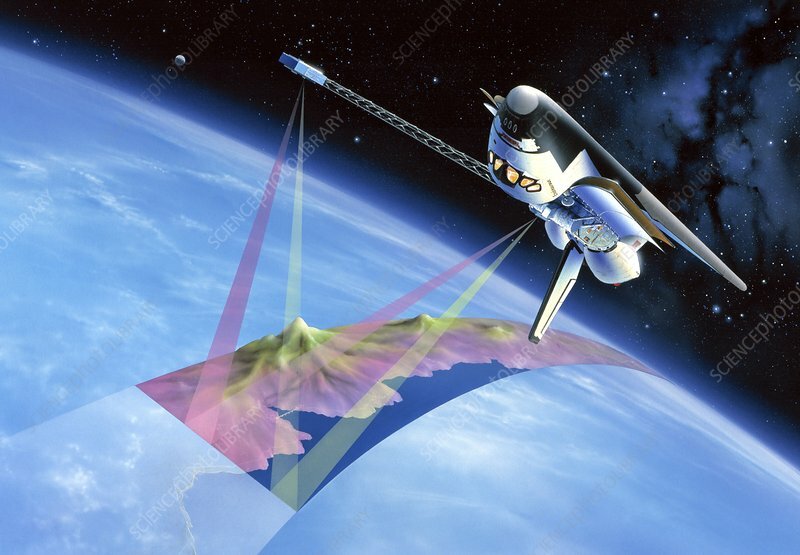 Shuttle Radar Topography Mission (SRTM), artwork. This was an international project spearheaded by the National Imagery and Mapping Agency and NASA, with participation of the German Aerospace Center DLR. Its objective was to obtain the most complete high-resolution digital topographic database of the Earth. SRTM consisted of a specially modified radar system that flew onboard the Endeavour space shuttle during its 11-day mission, and Endeavour's fourteenth space flight, in February 2000. This radar system gathered around 8 terabytes of data to produce high-quality 3D images of Earth's surface.